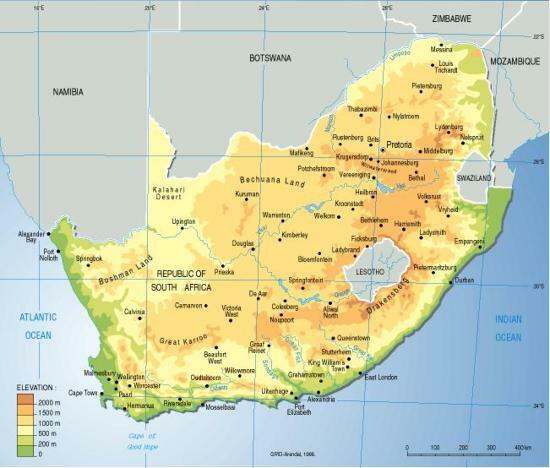 South Africa is located in Southern Africa, at the southern tip of the continent of Africa, comprising of 1,219,912 sq km. 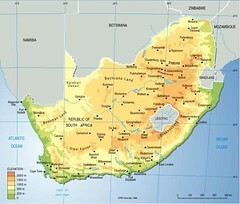 It has a population of 44,344,136 (July 2005). Major environmental concerns are: lack of important arterial rivers or lakes requires extensive water conservation and control measures; growth in water usage outpacing supply; pollution of rivers from agricultural runoff and urban discharge; air pollution resulting in acid rain; soil erosion; desertification.